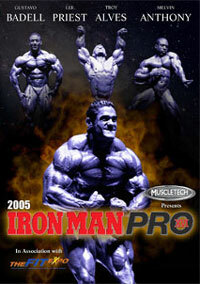 The DVD starts off with Gustavo Badell posing at the weigh in session before the contest itself. Gustavo was SHREDDED, and it was pretty obvious that he would be right up there in the rankings. Troy Alves also took his shirt off to pose as well. Another clear top finisher. Even though no other competitors posed, given the caliber of showings traditionally at the Ironman it seemed very likely that these two would finish on top, and they both did (first and third place respectively). Craig had the main flaw of stomach distention and a wide waist. If he curtails his calorie intake, or increases the number of meals he eats in a day to make each individual meal smaller, that should gradually reduce the problem. He has a very good shape and his only major flaw is in his midsection. Craig is aware of this and has been working hard to improve on this and coming along nicely. Hopefully we will see in the 2006 early shows how far Craig has come along. He was big and grainy at this show, showing great muscle maturity, and excellent condition and vascularity in his arms. Rusty was 40 at the time of the show, and displayed an excellent physique. You would be hard pressed to count too many flaws, and the only reason he didn't place higher was due to his lack of overall size. He turned pro in 2004 by winning the overall title at the Masters Nationals. He was certainly a worthy competitor and placed 12th at the show. Shredded and separated, Patrick is another pro bodybuilder on the way up. His glutes were hard while his hamstrings didn't look to be quite up to that level. His overall size was impressive and for Patrick to continue to improve in the pros, he would basically just have to stick with the basic improvements: work on more size and better conditioning for each future show. His shape and posing were both very good. Melvin sported an AMAZING shape. Straight out from the 1970s. He had a trim waist and full, swell muscle bellies. With time, he will improve his muscle density and maturity and with improved conditioning he may be a future Mr. Olympia winner. He is an excellent poser and might be the future of bodybuilding depending on how the judging goes. Mike Morris had a similar structure to Craig Titus. His flaws are a wide waist and smallish arms (at least in comparison to the rest of him). He looked good, but not good enough to do significant damage to the rest of the lineup at the show. His thighs were particularly impressive, as usual. Tight waist, excellent conditioning, classic lines - all the usual from Troy Alves, but even better than ever. His glutes and hamstrings were hard at this show, which is something especially rare for Troy. That had historically been a weak point for him. All in all, he deserved his third place finish at the show and may be the future of bodybuilding, along with Melvin Anthony. Competing at 208 pounds at 5'6 was Mark Dugdale - other than his height, he has fantastic shape, but without question height IS judged in bodybuilding contests - whether it should be or not is irrelevent. Mark's height has and will continue to bring him down in placings, because other than that, he looks great. You would be hard pressed to pick a flaw. Youssef is the owner of a very long torso and short legs which throws off his symmetry. Still big and shredded, but somebody we probably will not see a lot of due to the costs in travel to shows which he would perform well in. That is unfortunate because he looks like someone who has a good future with bodybuilding. Competing at 191 pounds, David looked great. His chest is somewhat "bottom heavy", but all in all his proportions are excellent. He has great size for his height (5'5) and ALWAYS shows up in outstanding condition, hard and shredded from head to toe. 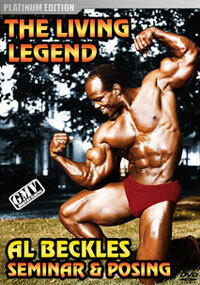 He had a respectable showing at the 2005 Mr. Olympia Contest, and will likely have many more. Big, cut, good abs, and a lot of aggression and charisma in his posing. Frank looked great, but might have needed a few more days to get shredded, or another coat of pro tan to bring out the cuts he had. While huge and shredded, King simply does not look as good as he did during his knockout year of 2001. He may have torn a biceps as they looked weaker than usual, and King has been known to have weak arms. That having been said, my advice to King would be to try as hard as possible to get back to his 2001 shape, and forget the size game. He would do much better that way and also likely qualify for the Mr. Olympia. Jocelyn probably shouldn't have been in this show. Even at 57, he does not look good. 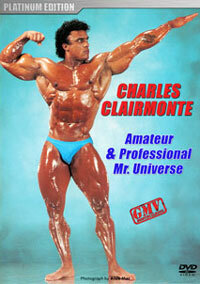 There are many 57 year old bodybuilders who look much better, so I'm not sure what excuse he has. Even his posing was not that great. 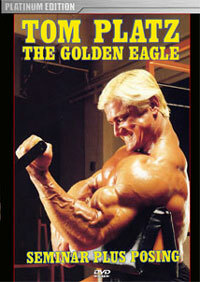 He looked good for his age for an average person, but as I said, there are many bodybuilders at 57 who look far better. I don't get this guy at all and have no idea what he's trying to prove. Good shape and size and in decent condition as well. Idrise has full and round muscle bellies and seems to really enjoy bodybuilding. I saw a picture floating around the internet of him being compared to Jocelyn Peletier at this show - if so, it would have been sad to be him. He looked good, just not strong enough to do any damage with this lineup. It also looked like he tore his right quad. Jimmy is one of those small guys who makes up for it with shape and conditioning. Unfortunately, the judges don't seem to notice. He looked good, but will never place high in the pro ranks at his current size and height unless the judging makes a dramatic shift. That having been said, it was a very good showing for Jimmy. Derik could have stood to be in better condition and would need bigger arms to do damage at this show. He looked good though - just not good enough to threaten anyone in the top 10. Jojo looked great. I really have nothing bad to say about him at all. He SHOULD have placed higher. In fact, I'm 99% sure the only reason that he didn't was due to lack of name recognition. He was big and shredded and a good poser. He will likely get his dues in the shows to come. Hidetada could stand to have bigger arms and a bigger chest if he expects to do damage at any shows. His height will bring him down as it does to most short bodybuilders, but other than that he can make a few improvements which should see his placings go up. Definitely huge, but with too wide a waist and some stomach distention which detracts from his symmetry. His arms were also lacking compared to the rest of him. Other than that, a respectable showing. His glutes were particularly developed and conditioned. Christian has a long torso and short legs as well as weak arms. Looking past these flaws, he was in good condition and sporting good size. Ed is big and thick all over but just not shapely or cut enough to do much damage. Definitely a big S.O.B. The clear winner from the moment he stepped on stage. He was in freaky condition and sporting huge size. His stomach distention was noticeable, but other than that he looked excellent - thick and with great shape - certainly a force to be reckoned with in the future. Big and very dry - but too much of a hulking shapeless physique to expect to do any damage at shows. His best bet is to follow the footsteps of Markus Ruhl and just get as huge and shredded as possible. It's not likely he will ever be able to look pretty with the genetic structure he was born with. Overall a good bodybuilder who just needs to add more thickness and work on general improvements and tie-ins. Hopefully someone we hear more about in the future. The first comparison consisted of (from left to right), Troy Alves, Melvin Anthony, Lee Priest, and Gustavo Badell - the obvious top four. At this point I would have put Gustavo in first with the others basically going in any order as they all had their respective strengths and related weaknesses. The second comparison consisted of Mike Morris, King Kamali, Craig Titus and David Henry. Craig and Mike have very similar physiques and also similar strengths and weaknesses. With the top 10 at this point basically decided, the other callouts took place next. I was disappointed to see Jojo N'tiforo out of the top 10 based on the callouts (he went on to place 11th). Jojo had an incredibly tight waist and excellent symmetry. He was certainly deserving of at least top eight and maybe even higher in my opinion. Admittedly, Gustavo did have stomach distention, but it is really hard to overlook that level of muscularity and conditioning along with a good shape and all at a height of 5'7. Troy Alves had a much better stomach, but did not have the thickness and conditioning that Allowed Gustavo to win the show. Rusty Jeffers also looked very good, especially for 40 years old, but did not have the quality to make a dent at the show. Lee Priest started his posing routine slowly with I Surrender by Celine Dion. His arms are out and out huge, and coupled with his chest weakness, really act to dwarf that whole area. His shoulders are also huge and all in all he looked very good and certainly deserving of his second place finish. Craig posed to the theme music of Batman (1989). His level of muscularity is quite high. Craig's problem lies in his midsection - his stomach is distended somewhat (enough to affect his placings), and his waist is relatively wide. His conditioning is good and if I were Craig I would simply focus on downsizing my waist. After the Batman theme music was over, Craig went on to pose to Dirt Off Your Shoulder Lyrics by Jay Z.
Rusty was obviously a deserving top finisher at the 2004 Masters Nationals, and only looks to be lacking when compared to top guys of today, some of whom are 10 or more years younger. Definitely an amazing physique, whether it places high in contests or not. I could only wish to look that good at 40 - or even now at 23. Melvin posed to Cater 2 U by Destiny's Child. Melvin is every bit the classical sculpture and assuming that the IFBB truly does move towards focussing predominantly on shape and symmetry, we may have a future Mr. Olympia here if he gets his conditioning down. Melvin started the dancing part of his posing routine with "Bring Em Out" by T.I. He has quite the moves, some of which defy gravity. As always - an entertaining act was put on by Melvin, who is one of the best posers in the bodybuilding world right now. Mike Morris posed to "For Those About to Rock (We Salute You) by AC/DC. He was muscular and shredded with his trademark enormous thighs. He looked dense and grainy and posed well. His only notable flaws were a wide waist and small arms, both of which unfortunately do detract from his shape and symmetry. Troy posed to one of my favourite songs "In the Air Tonight" by Phil Collins. Mark posed to "You Raise Me Up" by Josh Groban. Mark's main flaw is uncontrollable - height. At 5'6 he tends to look stocky, despite his excellent symmetry. Otherwise you would be hard pressed to pick a flaw. At 205 pounds, his conditioning was spot on and posing was very good. 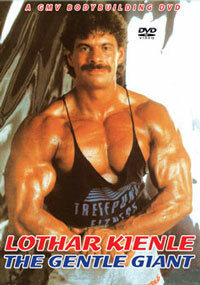 Definitely a likeable guy and one of the better "little" bodybuilders out there. Youssef posed to "Welcome To The Jungle" by Guns N' Roses. It was a good choice given his powerful physique. His posing routine was good, but seemed a little short. David posed to "Burn" by Usher. This was a good choice of music which suited his proportional physique. He then sped things up by posing to "Get Back" by Ludacris. Frank Roberson posed to a mix of music which he put together himself. He posed in a cowboy hat, which some may enjoy, but many others do not, and that I personally find a little distracting. His routine was very long, but overall he was a good poser. King is another one of those posers who does a lot of dancing to get the crowd worked up and into his routine. His waist looked a little blocky and he may have suffered an injury to his biceps, but otherwise had good size and conditioning. He looked awful. What more can I say? 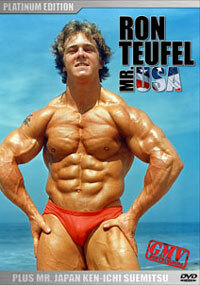 He looked awful for a bodybuilder and awful for a bodybuilder of his age. The ONLY standard which he looks good by is the fact that he looks good compared to the average couch potato 57 year old, but so what? Fans didn't pay to see this. Now you could argue that the general populace would like his physique over that of a bodybuilder, but these contests are not selling tickets to the general populace, but bodybuilding fans. Idrise posed to "On the Couch" by Prince. Good, slow poser and classical physique. Hard to really point out any major strengths of weaknesses. Tight abs and great conditioning. Very small arms, but otherwise the possessor of a good physique, albeit a smaller one. Another classical sculpture. Tight waist and great symmetry with no major strengths or weaknesses. A good poser, but too small to make an impact at this level. Massimo posed to "Lovers & Friends" by Usher. Huge bodybuilder, and quite possibly the largest glutes I've ever seen on a bodybuilder since Ronnie Coleman. Huge and shredded (grainy), but lacking the requisite shape to make an impact. His stomach and waist also needs to be downsized for him to make an impact - definitely enormous though. Christian posed to "Cry me a River" by Justin Timberlake and "Yeah! (Remix) by Usher. Ed started off his routine by pretending to play some basketball. His routine got underway with "Yeah! (Remix) by Usher. Another guy who is big and in condition, just lacking the shape required to do any damage. Big guy though. Front to back jacked! Gustavo posed to the theme music of Spiderman (2002). The clear winner here. Not much more needs to be said. Big everywhere, including his stomach and waist. Dry and in good condition, but looking a little funky in the arms (synthol maybe?). Posed to slow and powerful music which went well with his powerhouse physique. Good lines and overall quality and a good poser, posing to slow music to highlight his physique. After the individual posing routines were complete, Albert Busek was presented with the "Art Zeller Award for Artistic Excellence" and Jim Lorimer was then presented with "Peary & Mabel Reader Lifetime Achievement Award"
Melvin Anthony was presented with the "Vince Gironda Award for Outstanding Presentation", which was a posing award and came with a $1,000 purse. Alexis Ellis was crowned the overall winner of the Ironman NPC Figure Class. The top five then did the mandatory poses again. They were all looking good, with Gustavo as the clear winner in my mind, but the others looked fantastic as well and all had their respective strengths and weaknesses. The posedown music started and it was "Back in Black" by AC/DC. The top five were announced and Gustavo won the show and the $10,000 first prize purse. Ronnie Coleman was one who presented Gustavo with his winnings. He looked ridiculous in his enormous suit which was probably the best fitting one they could find. ha. Gustavo went on to give his victory speech thanking his wife Jessica and Milos Sarcev.